There are different types of Greek dances, and there is usually a live show at small restaurants like this one. 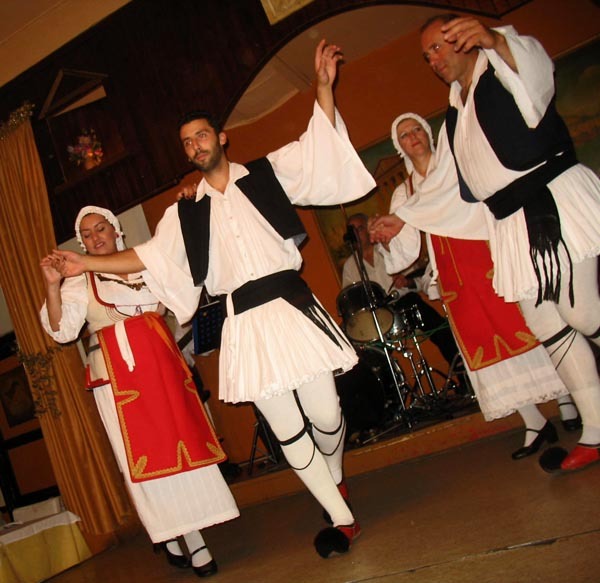 Greece has over 4000 traditional dances. 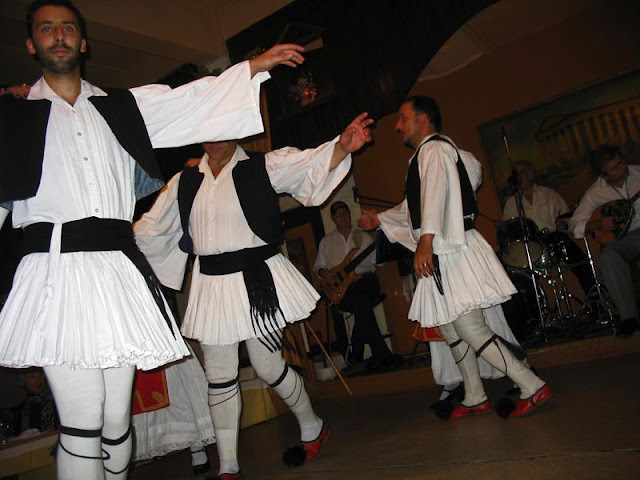 Dancing is very much part of Greek culture, and is common in social gatherings. A Greek woman in a pink outfit dancing. A troupe of Greek dancers in traditional costumes dancing. Greek men in traditional costumes putting up a show.